MP3 file is a digital music format but it does not contain original audio information. So, it is necessary to convert it into WMV format for it to be accessible in various media players. Converting it into WMV file format will solve the file compatibility issues. 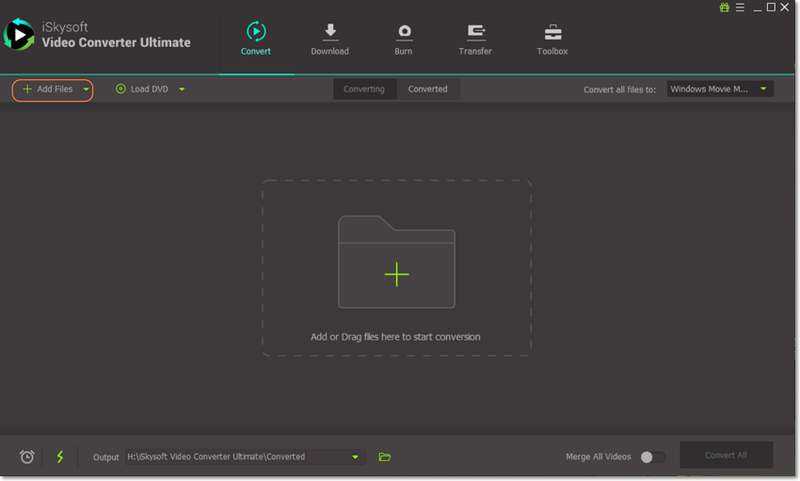 iSkysoft Video Converter Ultimate is an ideal converting tool as it consists of powerful tools & functions alongwith special effects and templates. This software fulfills all the requirements of the user with zero quality loss. It provides free lifetime assistance and software maintenance. Supports more than 150 video/audio formats, such as WMV, MP3, MKV, MOV, AVI, FLV, MP4, WMA, M4V, M4A, etc. Amazing output quality with zero quality loss. 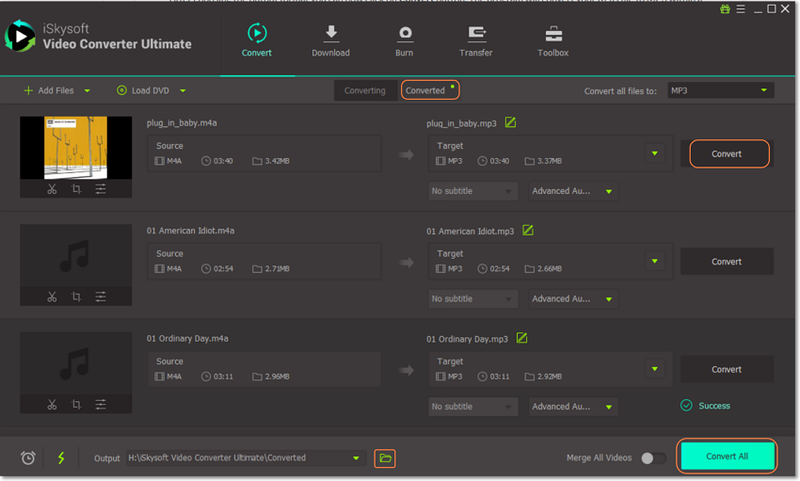 Built-in video editor helps crop, rotate, trim, add subtitles/watermarks/effects to your videos. Easily download online videos from YouTube, Vevo, Vimeo, Facebook, Dailymotion, Hulu, and more video sites. Burn your WMV or other videos to a blank DVD, or copy your home DVD as a backup. Perfectly compatible with Windows 10/8/7/XP/Vista, macOS 10.13 High Sierra, 10.12 Sierra, 10.11 El Capitan, 10.10 Yosemite, 10.9 Mavericks, 10.8 Moutain Lion and 10.7 Lion. Double click the iSkysoft program icon to start Video Converter Ultimate. From Convert, Burn and Download tabs click "Convert" button to convert MP3 files into WMV file format. You could perform batch file conversions. Select ‘WMV’ as the output format and choose a location to save file when the conversion is over. You could make use of diverse editing tools and personalization features. It also provides real-time preview to check the quality of the converted WMV file. Click "Convert" Button. Your MP3 files will be converted within few minutes. You will receive a prompt message when the MP3 files are converted to WMV. As it supports many portable devices you could choose the output format as iPhone, iPod, iPad or Apple TV. The WMV files will be added to your iTunes library automatically. 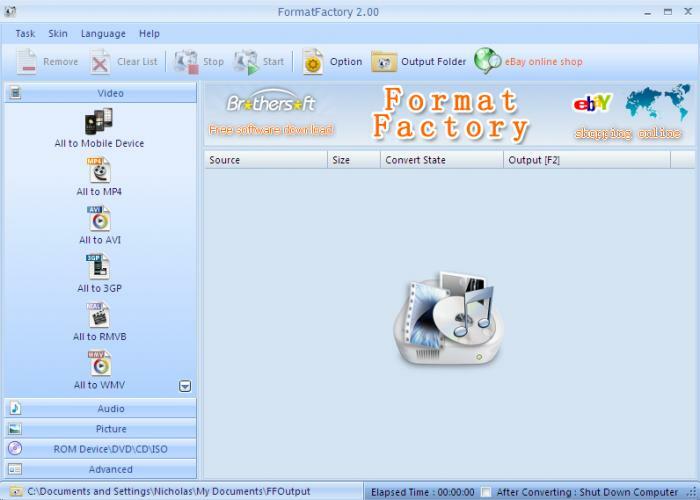 Format Factory is a free multifunctional multimedia file conversion tool. For converting MP3 file to WMV you need to select the output format as WMV and then load the MP3 file which has to be converted. It also provides many advanced options such as editing, aspect ratio and bitrate. It supports input/output formats such as .MP3, 3GP, AVI, FLV, MP4, MPG, WMV, SWF and so on. MP3 files support iPod, iPhone, PSP and BlackBerry devices. Supports all formats like MP3, WMA, AMR, OGG, AAC and WAV. When you install the software, it compulsorily installs a program which may not be needed by you. It is compatible with Windows 10 to XP only.